Billings Montana – Methamphetamines (Meth) has overtaken marijuana as the most common drug found in addition to alcohol in DUI samples sent to the state crime lab this past year. Meth has also been detected more frequently in other types cases handled by Crime lab’s toxicology division, per a summary report from the Montana Department of Justice’s Forensic Science Division. “I think that’s the real take-home of this summary, is the massive increase in methamphetamine,” said Scott Larson, toxicology supervisor at the crime lab. Even after the spike in Methamphetamine positive results, alcohol remains the most frequent substance found in DUI toxicology cases. For example, in 2015, alcohol was the only substance detected in 2,277 out of 3,380 total DUI cases tested calendar year. The lab had 294 DUI cases involving meth, and the drug concentration of the samples screened increased 123 percent. These numbers are up from 2011, when state toxicologists administered 73 DUI samples that tested positive for meth. These results illustrate that Marijuana used to be the most common substance after alcohol discovered in DUI blood tests. However, in 2015, meth became more prevalent in DUI blood tests, as per the lab. The toxicology division of the state crime lab in Missoula also performs postmortem drug screens for medical examiners and examines drug and alcohol test results for cases that involve drug-endangered children. The lab also examines urine tests for the Department of Corrections on inmates and individuals on probation. The lab analyses specimens for a variety of different drugs — such as marijuana, prescription narcotics, hallucinogens and inhalants. Over the years the overall number of positive drug findings has decreased. DUIs continue to make up the largest caseload which account for more over half of the 6,139 cases handled in 2015. In most DUI test results, alcohol is the only substance present in the blood sample. However, meth has increased in other test areas. One area includes postmortem drug screens, in 2011 the lab had 20 confirmed positive cases for meth but the rate has increased to 73 positive cases out of a total 801 cases in 2015. The study also showed that Urine tests conducted on probationers and parolees have seen a dramatic spike in positive results in regards to meth. For example, there were 1,192 urinalysis cases handled by the lab in 2015 and more than 550 turned up positive for meth. In 2011 there were fewer than 200 confirmed cases and no other drug has spiked so rapidly. Amphetamines are classified as a stimulant and an appetite suppressant that targets the central nervous system by increasing the release of certain chemicals (“neurotransmitters”) in the brain. Amphetamines are a Schedule II drug that can be prescribed for the treatment of narcolepsy and attention deficit hyperactivity disorder (ADHD). Physical symptoms may include restlessness, tremors, rapid breathing, confusion, panic and seizures. Due to its high risk for potential for abuse and addiction, physicians prefer using other treatment methods. Common trade names of amphetamine-containing drugs are Adderall®, Dexedrine® and Vyvanse®. 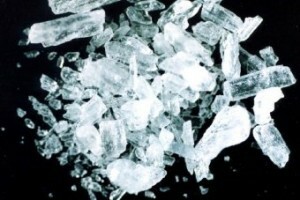 Methamphetamine, often referred to as meth, crystal, crank and ice, is an extremely addictive stimulant drug. Meth can be taken orally, smoked, snorted, or dissolved in water or alcohol and injected. According to the National Institute on Drug Abuse, even small amounts of methamphetamine can cause increased physical activity, decreased appetite, increased respiration, rapid heart rate, irregular heartbeat and increased blood pressure. Methamphetamine is also available by prescription for limited medical uses (treatment of obesity and attention deficit hyperactivity disorder) under the trade name of Desoyxn®.